The Morgan Aero 8 was launched at the Geneva motor Show in March 2000 and soon became a very successful high-performance sports car. It was designed by Charles Morgan (grandson of the founder) and the advanced aluminium chassis was developed by race engineer Chris Lawrence. A track version of the road-going Aero 8 was subsequently built; known as the Aero 8 GTN, it raced at Le Mans in 2002 and 2004. Number 430 off the production line, this is a Series 1 car from about 2002. The early Aero 8s used a 4.4 litre BMW V8 engine, delivering 286 b.h.p., resulting in a top speed of 160 m.p.h. and a 0-62 m.p.h. acceleration in under 5 seconds. The later Series 4 cars are powered by a 367 b.h.p. 4.8 litre BMW V8 giving a top speed of 170 m.p.h. 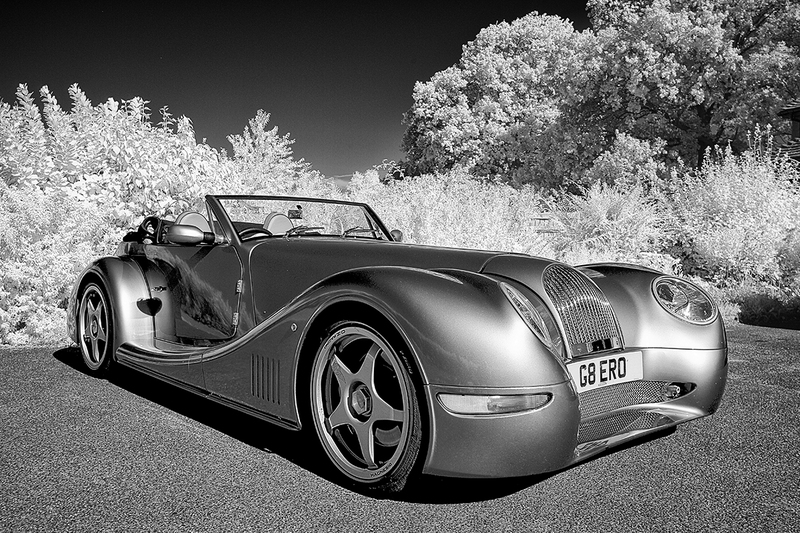 It was built at the Morgan factory in Malvern Link, Worcestershire, England.